In many organisations the senior managers attend a one to three day strategic planning event either annually or every second year. During this event they brainstorm their analysis and progress the analysis through to the development of a strategy. 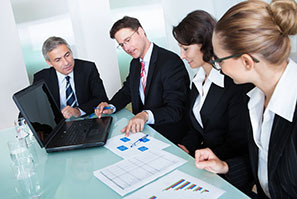 However, once a strategy is developed and documented then the “ongoing strategic process” will commence with the managers continuing to observe their strategic environment for changes, when a change in the environment is observed the impact of this change on the businesses current strategic plan will be considered. The first step to successfully developing a strategy for your business is to complete an analysis of your businesses three strategic environments. This analysis can be summarized using the SWOT Analysis technique. Everything that you will need to develop a considered strategic plan is included in this strategic planning guide to help you to succeed. The SWOT technique is an easy to learn tool that you can use to summarise your businesses Strengths Weaknesses, Opportunities and Threats. The SWOT technique is widely used in business as it provides structure and, when complete, presents your analysis in a logical easy to follow format. 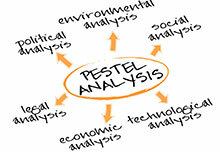 The macro environment or PESTEL analysis is used to analyse the global/regional/national trends that may impact on or provide opportunity for your business. These trends include political, economic, social, technological, environmental and legal trends. Use our templates and sample analysis questions to guide you though your analysis. 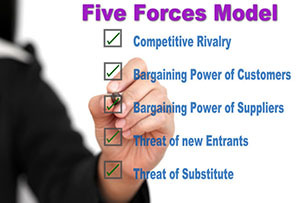 Porter’s five forces is a method that you can use to analyse how turbulent your industry is/will be. Sometimes people confuse the presence of a single low priced competitor as high levels of competition, however having competitors at various price points does not by itself create a turbulent industry. Use our analysis tools to help you to analyse your industry. An internal analysis is completed to determine what your business is good at and what you are not so good at. A strength is generally something that your customers value and that you are better than your competitors at. For example you may have a great culture and amazing leadership (both strengths, but unlikely to be valued by your customer) however it leads to your employees putting in the extra effort to service your customers, this service maybe a strength. Strategic Planning Guide "Value Adds"